First you will need to cut the apples in half for your stamps and for a better stamping session I did find that the paint goes on easier if you pat dry the inside of the apples first. So make sure than you pat them dry with some kitchen roll before adding the paint. Then the fun can begin. 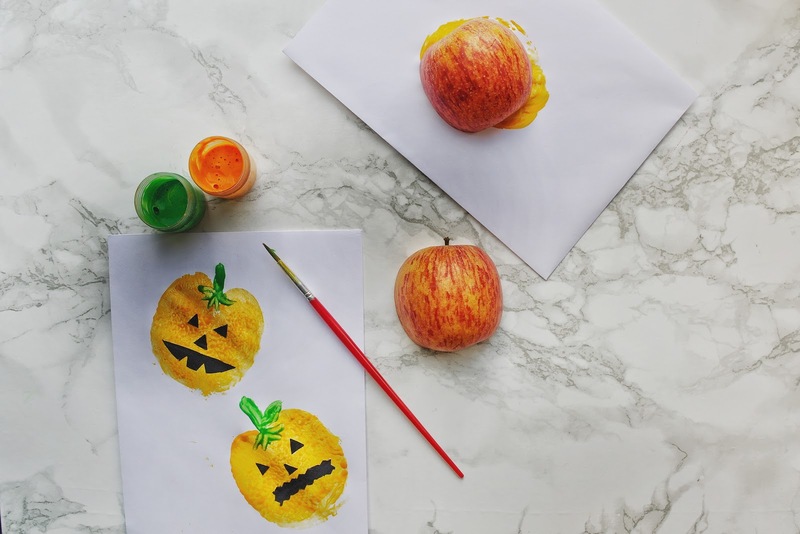 Using the inside of the apple as a stamp, dip the inside of your apple in the orange paint making sure that it's completely covered and get stamping. 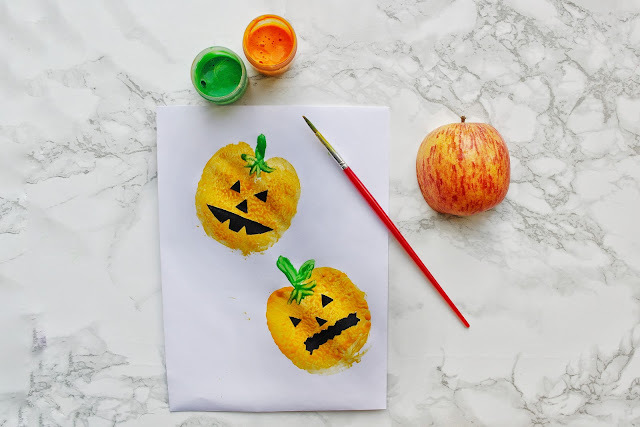 You could also use your paintbrush to brush paint straight onto the apple if you'd prefer. 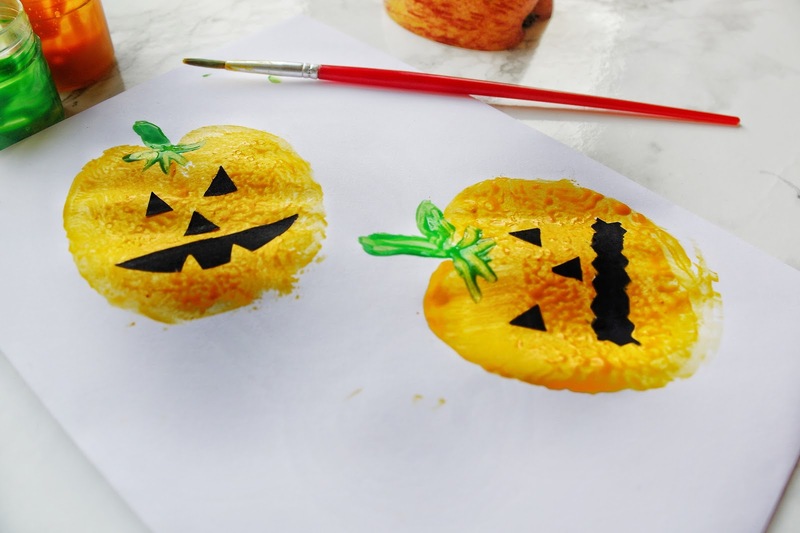 Using a smaller paintbrush you can start to paint the 'pumpkin hair' onto your little pumpkins. You can make them as crazy as you want, we wasn't too adventurous with ours though. 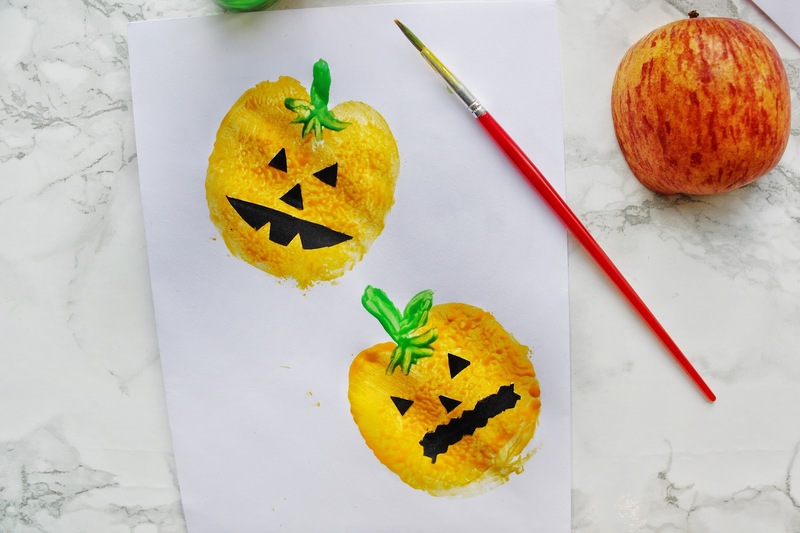 It's time to make some funky faces for your pumpkins. Using your black card cut out some small triangles for the eyes and nose, being as creative as you want for their mouth. 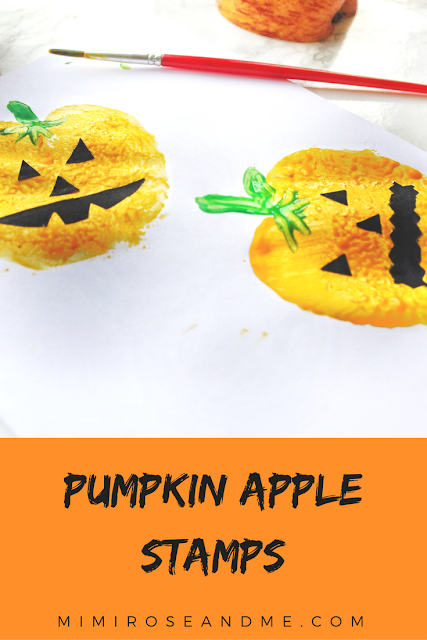 You could have very scary ones, silly ones or even happy pumpkins. If you can't get any black card, you can simply get a black marker and colour in some white card and cut your shapes, if not you can use a black felt tip pen to draw their faces. 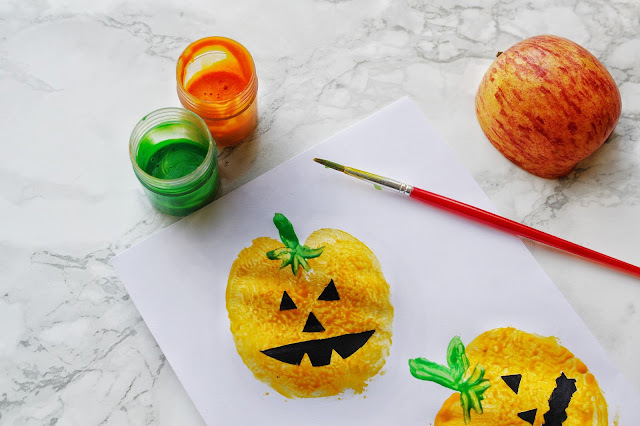 Will you be making some Pumpkin Apple Stamps? If you do, you'll have to show me your creations. 10 comments on "Pumpkin Apple Stamps"
My daughters would love to do this activity. Sounds like you had a lovely seasonal weekend too. I am in love with these! We are definitely making some tomorrow as we’ve got a lazy day at home planned.